The question of EROI – the energy return on energy invested – is raging nowadays, with some people insisting that a civilization cannot exist without an EROI of at least variously estimated values, at least 10 and higher . And that is said to mean we absolutely need sophisticated technologies, such as nuclear, in order to survive. 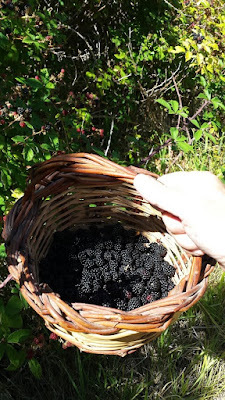 Yet, this morning I had been collecting berries in the wood with my wife and wondering: ‘what is the EROI of what we are doing?’ A reasonably good EROI, I am sure, enough for what our ancestors needed when they survived on hunting and gathering. 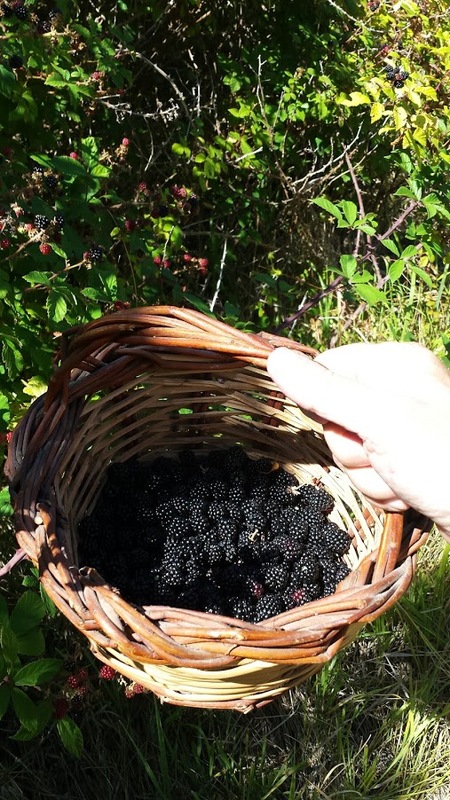 All you have to do is to walk in the woods, find the berries and pick them up (and watch your step, you don’t want to fall into a thorn bush). If our hunter-gatherer ancestors used this method, and if we are here today – their descendants – it means it was an effective strategy for survival. Collecting what you can find is an ancient and tested strategy that goes under the name of “gleaning” and it has accompanied humankind for millennia. It is a good strategy just because it is so simple: no tools, no laws, no hierarchy. And it works. As I was collecting berries, I started thinking things. How to program a drone to collect berries, for instance. Sure: a perfect way to bring down the EROI of the whole thing to nearly zero. And to destroy the bushes forever. Humans are like this, with their attempt of “improving” things they always pull the levers in the wrong direction. And that means making things more complicated, needing more and more energy to keep them running, and then complaining that we don’t have enough. Of course, with more than seven billion humans on this planet, it is hard to think that we can go back to gleaning to feed them all. But for how long we can trust the expensive, complex, delicate, and terribly inefficient enterprise we call “industrial agriculture”? I can’t say. 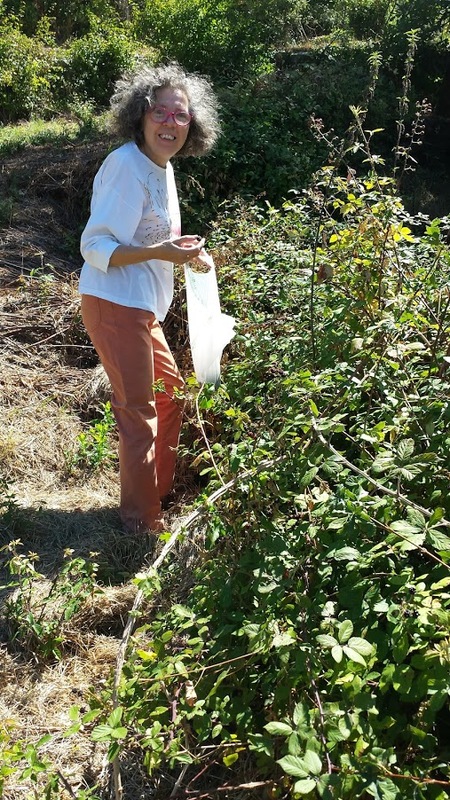 What I can say is that collecting berries is a big satisfaction, as you see below. Now, it was about one hour of low-intensity work for two people, so let’s say it involved a total of 50x2x1h = 100 Wh of human work. Then, I found values of 20-25% for the human metabolic efficiency of converting food to mechanical energy, it means we consumed some 400-500 Wh of food energy in order to collect 700 Wh. But, of course, no one ever lived on berries alone, not even in paleolithic times. The energy content of several kinds of foods that you can find in a natural environment may be more than an order of magnitude larger than that of blackberries. Walnuts are reported to have more than 10,000 kJ/100 g. If you can collect one kg/hour, as we did for berries, it means an EROI of more than 100 (!!). Larger than the mythical EROI of crude oil of a hundred years ago. Wheat and cereals, in general, have also high energy content, wheat is reported to have 15,000 kJ/kg, showing how gleaning could be an extremely efficient food gathering strategy.